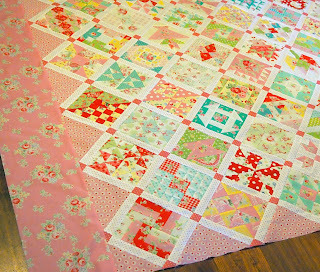 This month we are adding the final outside border and making the binding. You will need 2 metres of large floral fabric in your choice of Pink or Aqua. 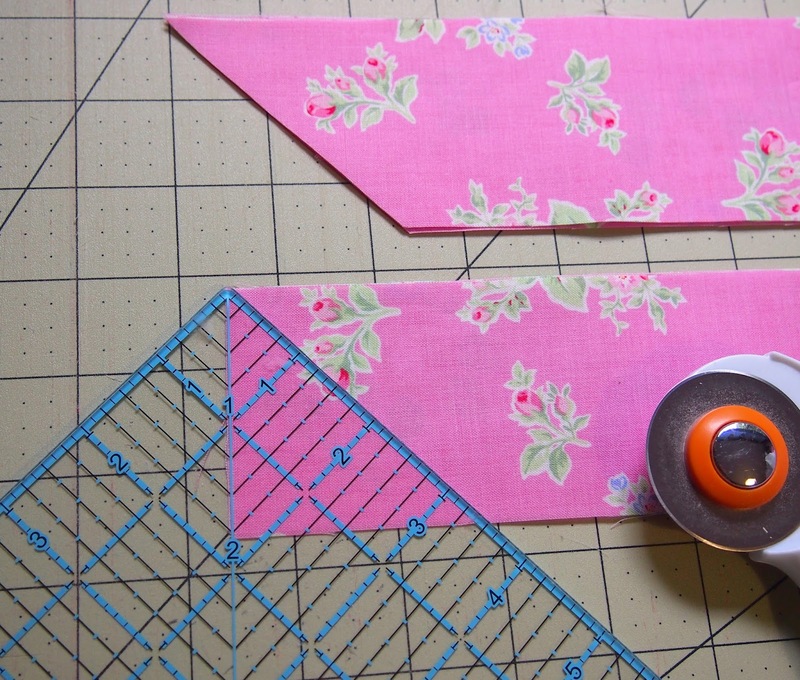 Lay the folded fabric down on your cutting mat with the fold on the right and the selvages aligned on the left. 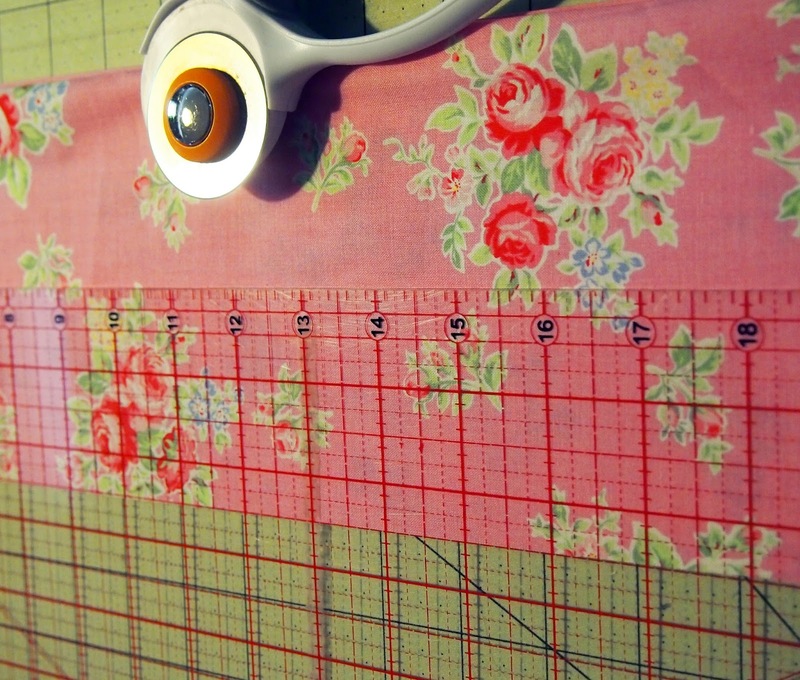 Measure across, from the inside edge of the selvage and start cutting an 8’’ strip along the entire edge of the fabric to give you 2 x 8’’ border strips. 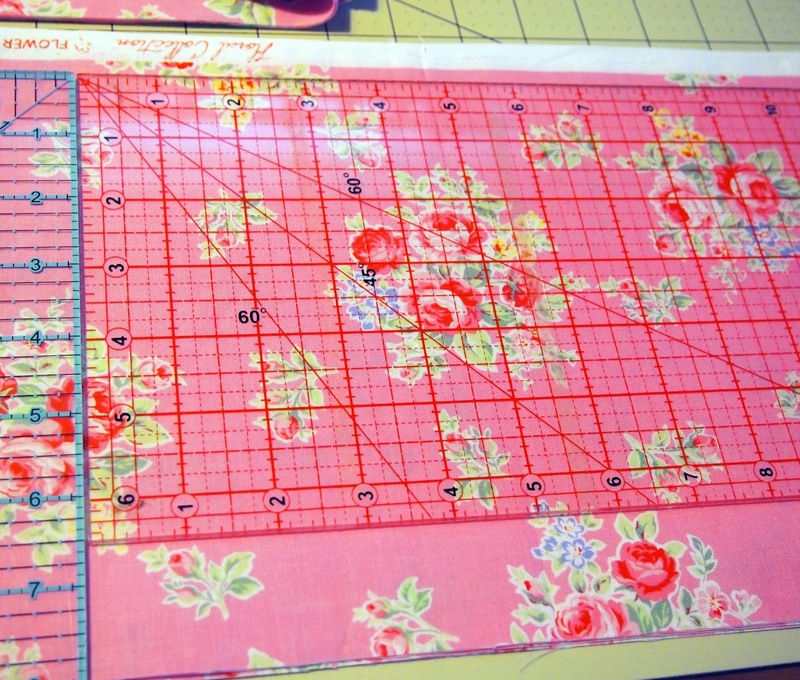 Use a second ruler to help keep your cutting line straight. Proceed slowly smoothing the fabric as you go. Come back to the start and repeat with a second pair of 8’’ border strips. This should leave you with 5’’ to the fold. 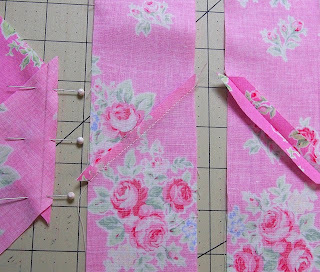 Flip the first border, keeping the edges even, measure 8’’ from the cut edge and cut off the selvages to give you 4 x 8’’ strips 2mtrs long. Come back to the start again and cut a 2 ½’’ strip along the length of the 5’’ fabric strip. 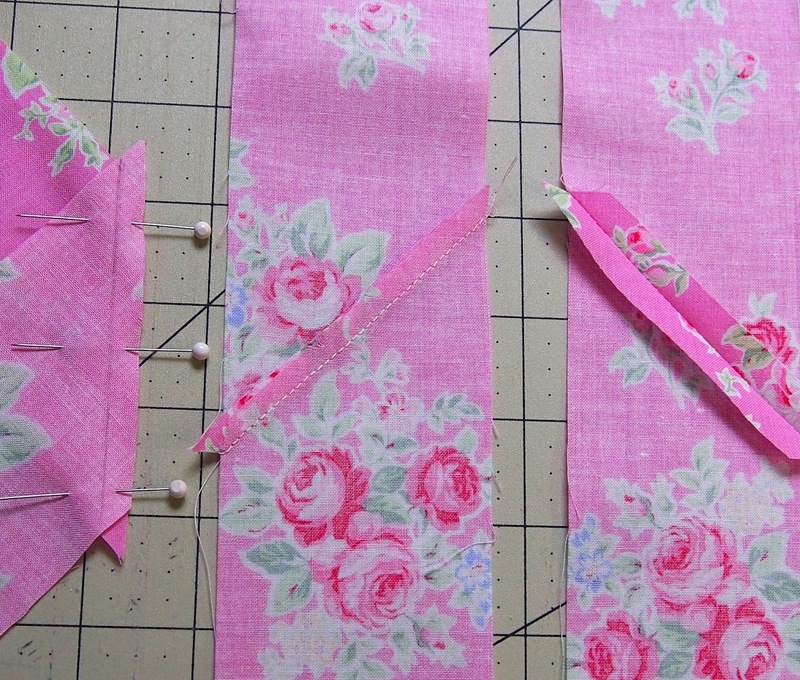 Open up the remaining strip and cut again along the fold to give you 4 x 2 ½’’ x 2mtrs binding strips. 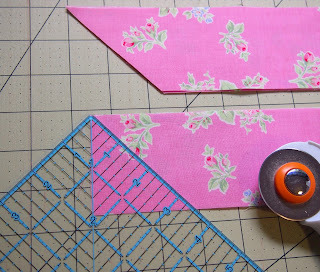 Cut the ends of these binding strips on a 45d angle. Measure your quilt top through the centre from top to bottom and cut one pair of 8’’ strips to this length. 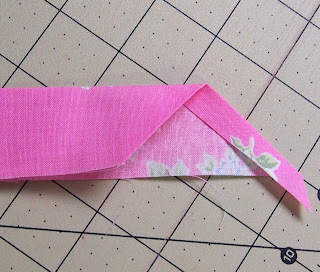 Pin and sew these evenly to each side of your quilt. You may have to ease these along as the large #71 triangles do tend to stretch a bit. Press seams towards the borders. 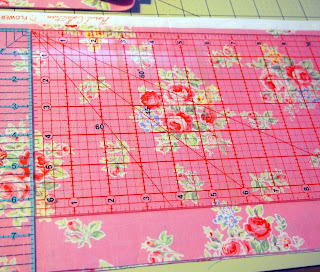 Repeat this process measuring from side to side for the top and bottom border strips. Join the binding strips end to end with a ¼’’ seam, keeping the edges even. 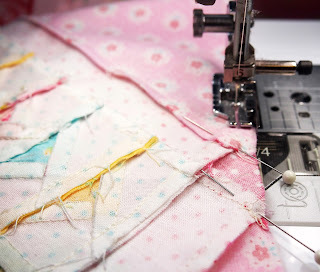 Press these seams open and press a ¼’’ hem on one end. 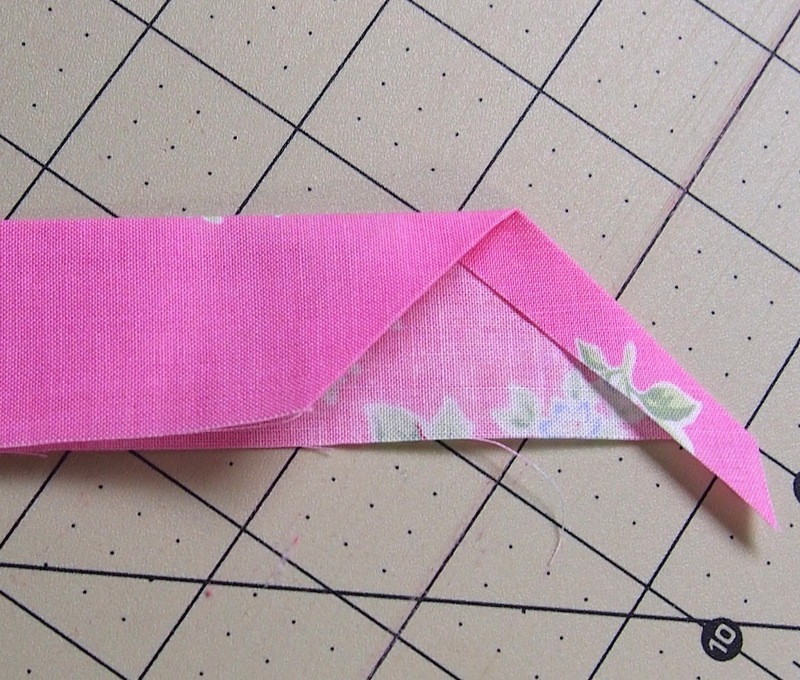 Fold the long strip in half, with wrong sides together, and press to make a long doubled over strip of binding. 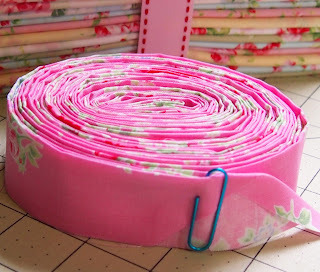 Neatly roll up ready for finishing off your quilted quilt.